We know Apple has released the latest version of Mac OS X- Yosemite today. If you have upgraded your device to iOS 8 or just got an iPhone 6 (Plus) on hand, there is no doubt that you are still willing to be the first batch of users who upgrade to Yosemite. While some users, especially the new users to Apple Mac operating system may ask: "Whether should upgrade to Yosemite from Mavericks?" If you are one of them, here we list top 8 features Yosemite is fitted with and show you why you should update to Mac OS X 10.10 now. Also own an Apple Watch? Here iMobie offer you a full guide to help you make best use of Apple Watch, including, how to pair Apple Watch with iPhone, how to update Watch OS, top Apps for Apple Watch, and tips & tricks for Apple Watch. Absolutely, to enjoy the fun brought by Apple Watch, firstly you need to upgrade your iPhone to iOS 8.2 or later. Making iOS and Mac work together is always the direction of Apple, and they turn it into reality at iOS 8 and Yosemite. When you use a Mac or an iOS device, you are able to do incredible things. While now with iOS 8 and Yosemite, you can use them together and do much more than ever. 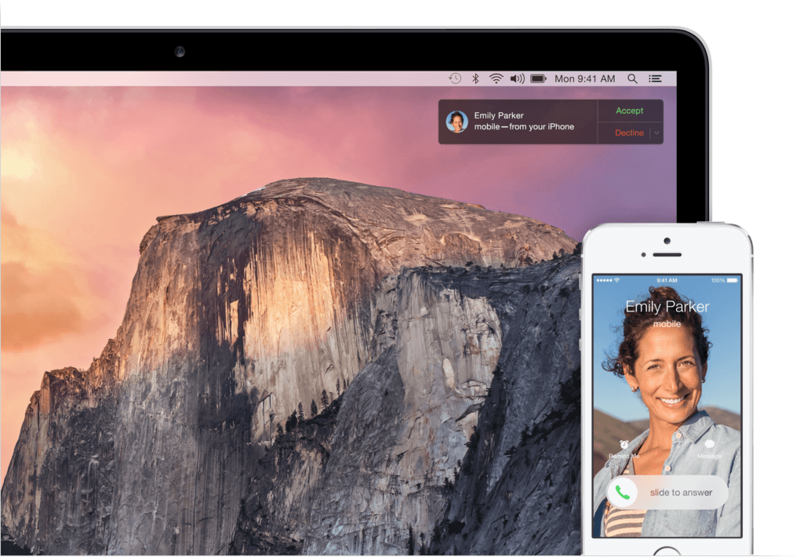 For example, you can answer the call with Mac when your iPhone rings; send and receive SMS and MMS text messages from your Mac; start working on a project on your Mac and pick it up instantly on your iPad or iPhone; and your iPhone shares your Mac's Wi-Fi network automatically without setup when they are within range of each other. Anyway, if you want to enjoy all the advantages brought by Continuity, without doubt that you should upgrade your Mac to Yosemite as soon as possible when it releases. When you are Googling guide about upgrading your iPhone/iPad/iPod touch to iOS 8 or setting up your new iPhone 6 (Plus), you must have noticed that most of them advise you not to choose upgrade iCloud to iCloud drive now, or you may can't access to your iCloud files on your desktop until Mac OS X Yosemite release. Because iCloud Drive requires your iDevice has upgraded to iOS 8 and your Mac is working with OS X Yosemite. 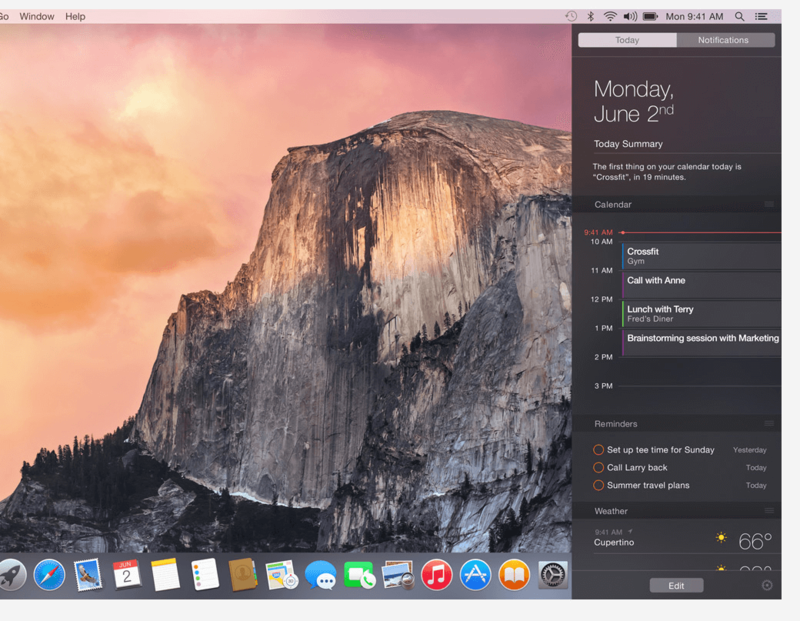 Now the Yosemite is here, there is no reason not to upgrade your computer to Mac OS X 10.10 now. With iOS 8 and Yosemite, you can store all the type of files on the folder of iCloud, which places at the Finder, and then you can organize them in the way you like, and access them from all your devices. And all changes you made offline will be synced when you connect to the Internet. Just like what we mentioned in Continuity that you can start a report on iPad, and finish it on your Mac. Absolutely, this is limited that you have upgraded your iDevice to iOS 8 and your Mac to Yosemite. You know AirDrop is made to share your files between Mac computers simply, but now it is also available between Mac and iOS, too. Therefore, whatever you want to share with your iOS devices, you just need to find the file on your Mac and then use AirDrop to send it to a nearby iOS device. In Yosemite Messages app has a new look and provides you more options for communicating with your family or friends. You can send text messages from your Mac to start conversation with your friends, even those who haven't iMessages; create and send Audio or Video clips during chatting without leaving Messages App; name your conversations to make you find some conversation easily; add more friends into same conversation without starting new chat. Anyway, communicate with your friends better than ever. The Notification Center in the current version of the OS, Mavericks, doesn't offer you too many functions, just provides you recent messages and iTunes updates. And this has been changed in Mac OS X 10.10, Yosemite. Every morning when turn on your Mac, with just a swipe you will know everything you need to know, such as, upcoming events, birthdays, reminders, and also allows you to get access to some mini widgets easily, like Calendar, Weather, Stocks, World Clock, Calculator, Reminders, and much more. When you working with Mavericks, you search something in Spotlight, normally the results are about your files and from your computer, but now with refined Spotlight the results may about anything. For example, you search for your favorite food, and the Spotlight will show you the names and locations of nearby restaurants. In all, the results may from your computer, Wikipedia, News, Maps, Movies, Google, etc. to make you look for information become a piece of cake. 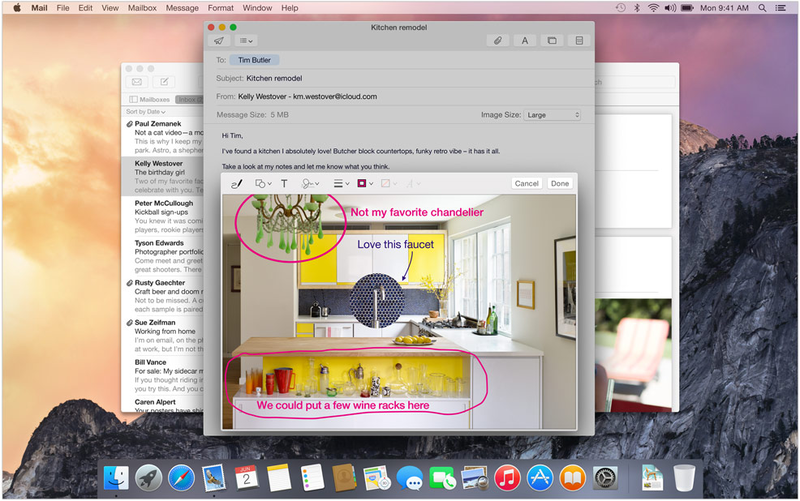 Compared to the Mail App in Mavericks, two highlights are added to the Yosemite. 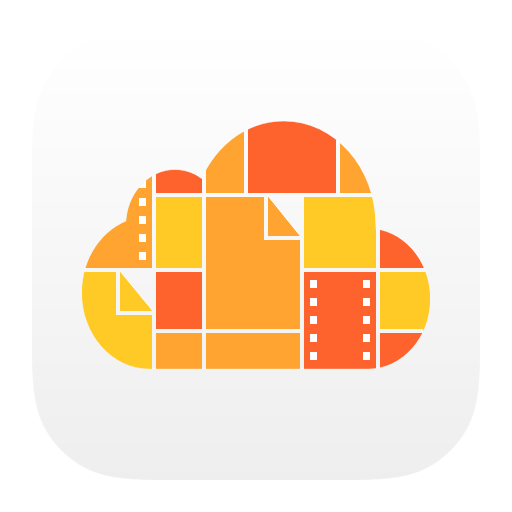 One is Markup, which allows you to make Skitch-style annotations to images, PDFs and other documents without leaving Mail App, and the other one is Mail Drop, which lets you seamlessly send and receive large files such as Videos, Images up to 5 GB in size via iCloud. This means you can edit the attachment you received as easily as a piece of cake, and you also can add large attachment as you want only if it doesn't exceed 5 GB. As you can see, all of the features look great, especially the Continuity and iCloud Drive. However, they are only compatible with iOS 8 and Yosemite. If you want to enjoy some or all of them, there is no doubt that you should upgrade your Mac to Yosemite now from Mavericks. Absolutely, we just mentioned some features of Mac OS X 10.10 in the article, the more you use your Mac, the more you'll notice, and the more you'll love. Upgrade to Yosemite Now! 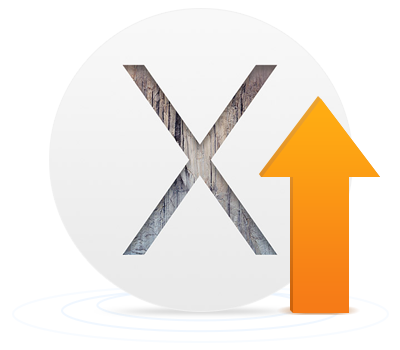 To help you upgrade to Mac OS X 10.10 smoothly, we collect common Mac OS X problems and solutions and also list top Apps for Yosemite you should install, even offer you a list of top alternatives to apps on Mac. Read them with deep attention and then upgrade to the latest version of Mac OS X without fear. Enjoy yourself!